Spaces are still available for the current 2017-2018 school year. To be considered for enrollment, please complete the application and submit it to the school office. Returning students are guaranteed admission but need to complete an application for the 2018-19 school year. Applications for re-enrolling students must be completed and received in the school office by January 19, 2018. If applications are not received by the deadline, applicants will not be guaranteed admission. Siblings: Applications for siblings of currently enrolled or re-enrolling students must be completed and returned to the school office by January 19, 2018. Siblings of current or re-enrolling students receive preference in regards to admissions. If applications are not received by the deadline, applicants will not be guaranteed admission. Applications for new students interested in admission for the 2017-2018 school year must be completed and received in the school office by February 5, 2018 at 3:30 P.M. While new applications are accepted at any time prior to the deadline, they must be received by the deadline for consideration in the lottery. Applications received after the deadline will be considered for enrollment or waiting list in the order in which they are received. Drop by and visit us at any time between 9am and 2pm on January 31 to enjoy the opportunity to observe our community during school hours. We will have refreshments as well as information and applications for new applicants. 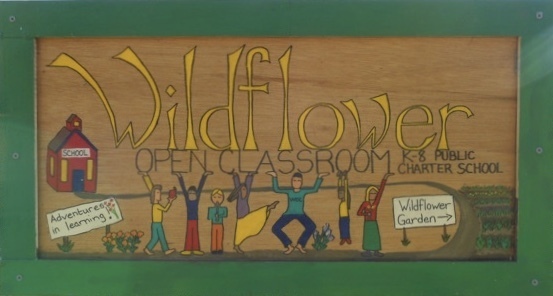 Throughout the classrooms, you will get to meet the teachers, parent volunteers, board members, and the delightful students of Wildflower Open Classroom. A random, public lottery will be held, if necessary, on February 8, 2018. Applicants will be notified of admission or position on the waiting list by Thursday, February 15. Applications are available in the school office and are also available here on our website.